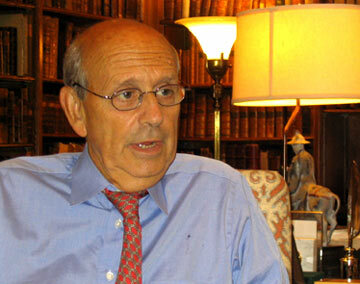 Supreme Court Justice Breyer on 'Active Liberty' In an exclusive interview with Nina Totenberg, Supreme Court Justice Stephen Breyer discusses his new book on democracy and the Constitution. Justice Stephen Breyer argues that the framers of the Constitution had a purpose in establishing divided government -- to encourage what he calls a democratic conversation about what policies the government should follow. Now that John Roberts has been confirmed as chief justice, President Bush is expected to name another justice soon to replace Sandra Day O'Connor. Mr. Bush has said he wants to nominate someone in the mold of Antonin Scalia and Clarence Thomas -- a Supreme Court justice who will interpret the law, not make it. But what exactly does that mean? In a new book Justice Stephen Breyer, often at odds with Scalia and Thomas, outlines his judicial philosophy, and makes the argument that his is in fact a more democratic philosophy. The book is called Active Liberty: Interpreting Our Democratic Constitution. "I say 'active liberty' because I want to stress that democracy works if -- and only if -- the average citizen participates," Breyer tells Nina Totenberg in an exclusive interview. After 11 years on the Supreme Court, Breyer says he is comfortable in describing how he goes about interpreting the Constitution, the statutes and the regulations that come before the court. And without saying so, his book is something of a rejoinder to justice Scalia's 1997 manifesto entitled: A Matter of Interpretation: Federal Courts and the Law. Scalia's view, called originalism, instructs judges to look to the words of the Constitution and what they meant at the time the document was written. 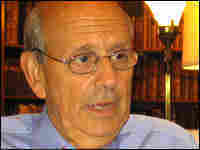 He is critical of those like Breyer, who argue for a more flexible and adaptive interpretation of the Constitution's words. 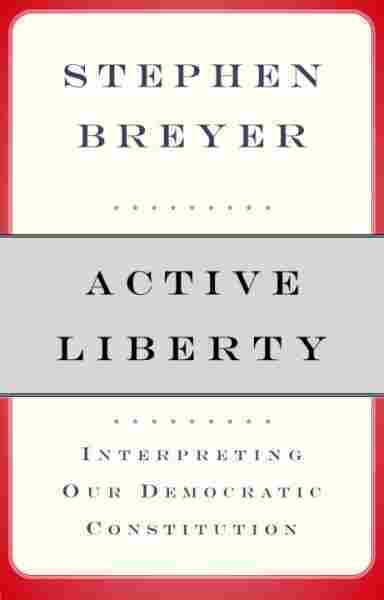 Breyer applies his theory of Constitutional interpretation to some of the most divisive legal questions tackled by the high court in recent years -- affirmative action, privacy, separation of church and state and campaign finance.